People affected by the Lilac Fire may be eligible for government food assistance benefits, county officials announced Monday. Residents who lived or worked in the area hit by the December wildfire may apply for special disaster CalFresh benefits until Friday. 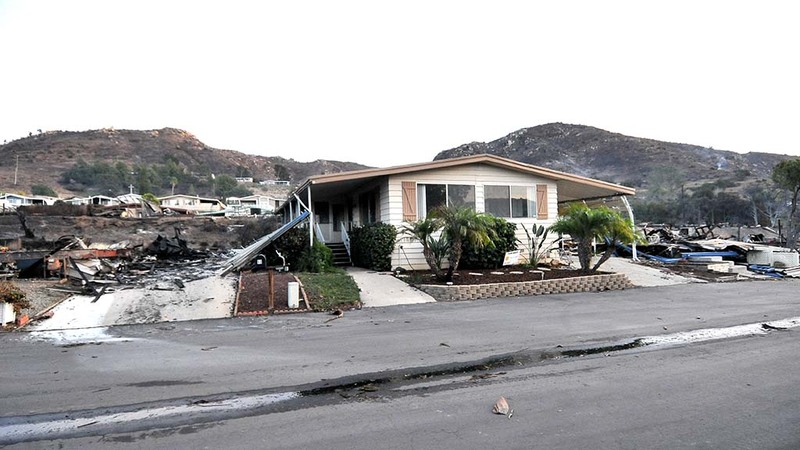 Those who lived or worked in ZIP codes 92028 (Fallbrook), 92003 (Bonsall), 92084 (Vista) or 92057 (Oceanside), experienced a disruption in income, had disaster-related expenses, had damage to their home or self-employment property and are not already receiving CalFresh benefits may qualify, according to the county Health and Human Services Agency. “Emergency benefit amounts are determined on a case-by-case basis,” said Rick Wanne, the agency’s director of eligibility. An in-person interview is required to determine eligibility. Applications are accepted at North Coastal Family Resource Center, 1315 Union Plaza Court, Oceanside, or the Fallbrook Community Resource Center, 202 West College St., Fallbrook. Residents may also go to other Family Resource Centers that are closer to them and their information will be forwarded to the Oceanside or Fallbrook office. Those already receiving CalFresh will be automatically considered for additional benefits due to the fire.